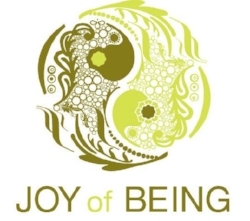 At Joy of Being, we embrace beginning yoga students. All of our classes are appropriate for beginners, but some classes are geared especially for those taking yoga for the first time. Klaus is a playful, yet sincere, student of yoga who lives in the Half Moon Bay area with his wife Amanda and two cats. Klaus has been teaching since 1992. He has studied with some of the top American yoga teachers, including Richard Freeman (yogaworkshop.com) and John Friend (anusara.com) and gives thanks each day for their generous guidance. He brings humor and lightheartedness into his classes, yet reminds his students that yoga is a spiritual practice that can help us awaken to our True Nature. Klaus has detailed knowledge of alignment principles and therapeutic application of yoga, respect for each student, and encourages awakening to what is. Classes are geared to reflect the abilities and diversity of the students. Klaus' studies have included the fundamental texts of yoga philosophy; The Bhagavad-Gita, The Yoga Sutras of Patanjali, and the Upanisads. He has also been influenced by his studies of Zen Buddhism with the San Francisco Zen Center. I am a Registered Nurse and Certified Feldenkrais Teacher, Master Practitioner in the Mind Body Systems, who has been working in the health field for 30 years. I have had a variety of experiences, among them in Hospice and Home Health with Kaiser Permanente, and Kaiser Occupational Health Department. I worked as the Somatics Director using the Feldenkrais Method to guide injured workers towards recovery. I am currently integrally involved in the practice and progression of the Feldenkrais Method and a Master Practitioner of the Mind Body Systems, which is strongly influenced by the work of Moshe Feldenkrais. I was moved to change my profession from traditional nursing in a very slow and thoughtful journey with many guides and influences along the way. One such influence was certainly the six years I spent as a hospice nurse working under that well known hospice philosophy of caring for the whole person: physically, emotionally and spiritually. I saw over and over again the powerful interrelatedness of the mind and body and became interested in learning more about such holistic modalities of caring for human health and well being. My interest became more acute when I began to feel the effects of stress on my own mental and physical health. I sought out a local Feldenkrais Awareness Through Movement class and was impressed by the effects of this weekly practice. It was immediately effective in calming my emotional state and aiding my breathing. After about a month of these weekly classes I noticed that my physical pain was greatly improved and continued to improve. Soon after I enrolled and completed the 4 year Feldenkrais Training at Feldenkrais Resources in Berkeley. Feldenkrais is now my full-time work; as I have continued to practice I have been able to apply the concepts of the Feldenkrais Method to many aspect of my own life. Most importantly getting in touch with what is true and honest for me. My overall sense of health and resilience has continued improve as a result of my continued practice of the Feldenkrais Method. The Feldenkrais Method® is a unique system of somatic, or movement, education which enables the individual to access his or her own ability to improve movement patterns, making movement effortless and natural. The Feldenkrais Method incorporates safe, gentle and often enjoyable exercises, or "lessons", to enhance movement, flexibility and posture. These gentle movement sequences activate the intrinsic intelligence of the nervous system and teach how to better activate the whole self. The Feldenkrais Method is for anyone who wants to reconnect with their natural abilities to move, think, and feel. Whether you want to be more comfortable sitting at your computer, playing with your children and grandchildren, or performing a favorite pastime, these gentle lessons can improve your overall well being. Learning to move with less effort makes daily life easier. Because the The Feldenkrais Method focuses on the relationship between movement and thought, increased mental awareness and creativity accompany physical improvements. Everyone can benefit from the The Feldenkrais Method. After experiencing Feldenkrais® lessons, people often express feelings of relaxation and ease. They may breathe more freely and find their thoughts have more clarity. The learning process is full of pleasant surprises and personal breakthroughs. Feldenkrais lessons teach you the means to take charge of your own improvement and are offered in two ways, enabling you to discover which learning style is most appropriate for your needs. In Awareness Through Movement® lessons, the teacher verbally guides you through a sequence of gentle movements intended to help you develop a greater awareness of how you move. These lessons occur in a group setting. Functional Integration® lessons are designed to meet your personal needs. Communicating through touch and movement in addition to words, the teacher guides you in your one-on-one process of self-discovery. Regardless of which learning style you choose, the The Feldenkrais Method can help you overcome limitations brought on by stress, misuse, accident, or illness. Bring your yoga mat, water, and wear comfortable clothes! I've studied different modalities for clearing tension and trauma in the body for the past 20 years and I love how gentle, empowering, and effective this is. TRE has really helped me to sleep better, clear PTSD, and decrease my internal barometer of stress. After a few sessions, you will know the technique and be able to practice it on your own at home! TRE® (Tension, Stress, and Trauma Releasing Exercises) is an innovative series of simple exercises which assist the body in releasing deep muscular patterns of stress, tension and trauma by inducing a gentle muscular shaking response. This natural response generally feels pleasant and soothing, and after doing TRE many people report feelings of peace and well being. TRE was developed by Dr. David Berceli, Ph.D. while he was working as a trauma therapist in the Middle East and in Africa. Dayna is a Holistic Health Practitioner who utilizes counseling, ceremony, and intuitive bodywork to bring clearing, balancing, and restoration to the body, mind, and spirit. She has been in practice in the Sf Bay area and internationally since 1998 working with individuals and groups. Dayna works with health issues, addiction, emotional issues, trauma, PTSD, grief, and feeling generally stressed. She is a certified TRE Provider. Dayna also co-facilitates the Stargate Mystery School Training Program through the Center for Sacred Studies. Along with her Masters Degree in Holistic Health and Somatic Psychology, Dayna has extensive training in indigenous healing from Thailand, Africa, and the Americas that she weaves into her practice.